Summer is just around the corner. Time to get your yard ready for the growing season, warmer weather, and all your favorite outdoor activities. The best way to prevent weeds is a healthy lawn. Below are some ways to keep your grass resistant to weeds. Make sure your lawn mowers blade is sharp and damage free. Sharpen or replace it if necessary. Set the mower to the tallest or second tallest cut setting. The goal is to cut the grass to no less than 2/3 of its height each mowing. 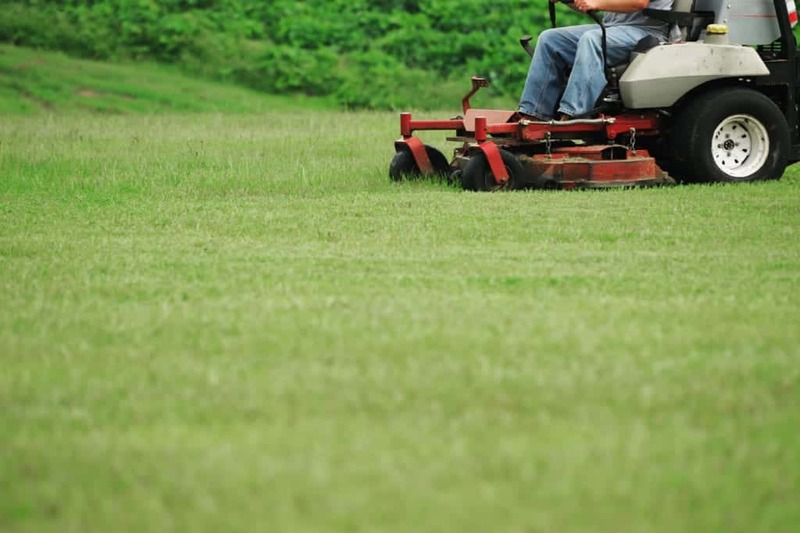 You should not remove more than 1/3 of the grasses height in one mowing. If your lawn is tall and shaggy or overgrown, cut it many times until you achieve the desired height. Space out the cuttings over a few days to give the grass a chance to recuperate. Thus, leaving your lawn well-trimmed without stressing it too much. Late spring is the time to start protecting your lawn against annual weeds such as crabgrass. Use a pre-emergence herbicide before the growing season to kill the seeds. Apply the herbicides between May 5th and 20th for best results (Tri-Cities area). Note that herbicides only kill existing weeds. Solving the underlying issue alleviates problems rather than just keeping them under their control. Aerating your lawn breaks up packed dirt. Packed soil does not provide good circulation of nutrients allowing weeds such as knotweed to grow. By aerating the ground, it allows air and nutrients to circulate and promotes grass root growth. After the grass is ready for the summer, it’s time to turn your attention to your trees and other shrubs. One of the keys to effective pruning is the timing. Early bloomers need trimming as soon as they finish blooming. For example, apricot and flowering plum or cherry trees. Foliage trees like dogwoods need pruning before growth begins. The other key is using proper pruning techniques based on individual plant needs. Incorrect pruning can weaken and even kill your trees and shrubs. If you are unsure about how to prune your trees, consider hiring a professional. Trees and a green lawn look beautiful together. But grass and tree roots compete for space. Allowing grass to grow next to the trunk of a tree stunts its growth. Trees require an area of mulch around them for the best growth. Mulch should be 4 inches deep and extend 5 to 8 feet from the base of the established trees. Newly planted trees should have mulch out to a foot beyond the root ball. Extend the mulch area by 1 to 2 feet every year for at least three years. Each year, check your trees to make sure that the mulch is not touching the trunk and is still 4 inches deep. Extend the mulch area around growing trees by 1 to 2 feet. There is more to preparing your yard for summer than mowing the lawn and pruning the trees. Summer is for enjoying the outdoors. A functional space with great ambiance is an absolute essential. Adding features to your yard will enhance your summer enjoyment. You could add a deck or a fire pit for spending time with family. Need a perfect place to entertain guests? Add an outdoor kitchen. Preparing your yard for the summer sets it up for the best possible growth and appearance. Adding new features to your yard can make it a more inviting place.